The following is a guest post by Miguel Montes. Miguel is a Marketing Associate and author at CDM, an eLearning institute that offers digital marketing courses. Aside from being a graduate of Advertising & Public Relations, he also has experience in Business development and advertising. You can connect to Miguel through his LinkedIn account. 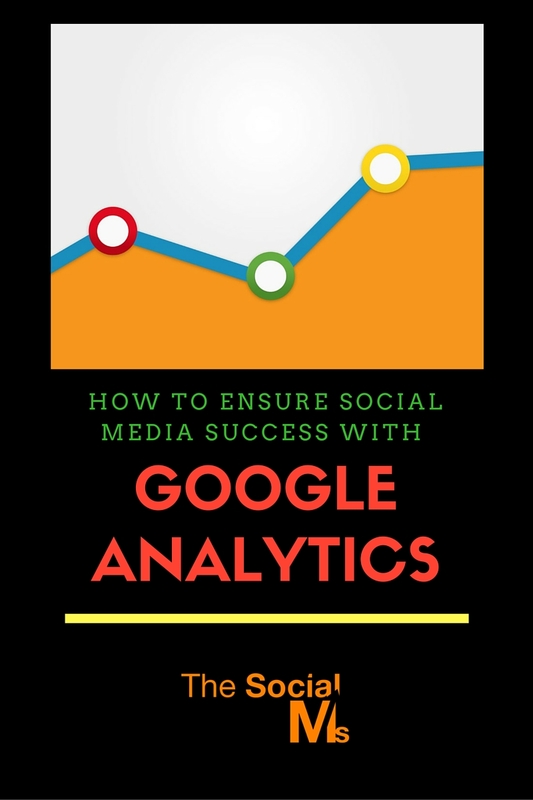 Google Analytics is one of the most popular tools that digital marketers have come to rely on to measure social media success. Here’s how to make the most of this ubiquitous tool. Nowadays, social media has come to be recognized as an important asset for promoting business growth. Various enterprises have been leveraging on its ability not only to communicate your brand message but more importantly, to connect and engage with target audiences. However, it can be challenging to quantify exactly how your social media strategy contributes to the overall business success. With so many metrics to measure, the problem is not a lack of available tools, rather not having enough time to monitor all of them. 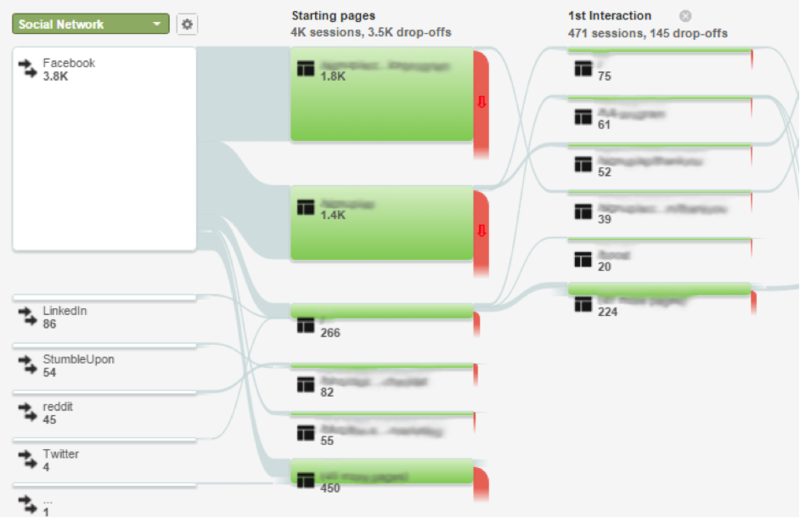 One way to narrow down your focus is by zeroing in on a single tool, which is Google Analytics. It’s not the most widely used social media monitoring tool for nothing. So, if you haven’t installed it yet, make sure that you attend a course on Google Analytics training as soon as possible. Granted that most social media channels have their own analytics that are readily available for you to use, jumping from one dashboard to the next can get confusing, not to mention time-consuming. You want to be as efficient as possible, so looking at Google Analytics will help save valuable time. Here are a few reports to monitor on Google Analytics: Measure how well your current social media channels are doing, as well as a few tips how to improve your content and promotion strategy. On the left side of Google Analytics, in the Audience section, you get an overview on which language your website visitors use, which countries and even cities your audiences come from. Also, you can determine which browser they are using when visiting your site as well as the Operating System (OS) and Service Provider they are using in both computer and mobile devices. This gives you an idea of how well you are performing in your target country or market. It lets you know more about your prospective customers. This can serve as a marketing guidance and be the basis on how you will strategize on your marketing plans. 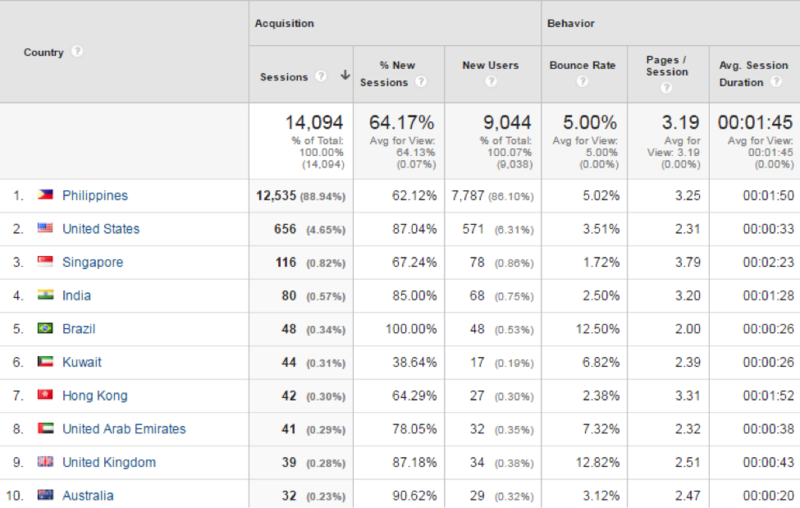 Google Analytics provides a detailed report of how visitors are getting to your site. It includes data about which social media channel your visitors came from, and how they arrived at your landing page. There’s also an option to set up goals that enable you to monitor traffic on the social network sign-up form you’ve set up. For example, if your website is currently offering digital marketing courses, and you see a surge of traffic coming from LinkedIn going to your landing page, this means that your offering resonates with leads coming from that social network. Knowing which social media channel your traffic comes from will help you track another important metric, which is the level of engagement. Simply put, the ones that are performing the best are those that lead to the most engagement. On the flip side, those that aren’t will engaged need to be improved on, tweaked, or even abandoned altogether so you can focus on the ones that are working. Finding out your most popular pages allows you to see what sort of information your visitors are resonating with, and which ones aren’t. Knowing this will give you a ready-made “template” as a basis for what types of posts or copy to adopt when sharing information in the future. This, in turn, increases your chances of coming up with a sure-fire strategy for winning your target audience in your future campaigns. 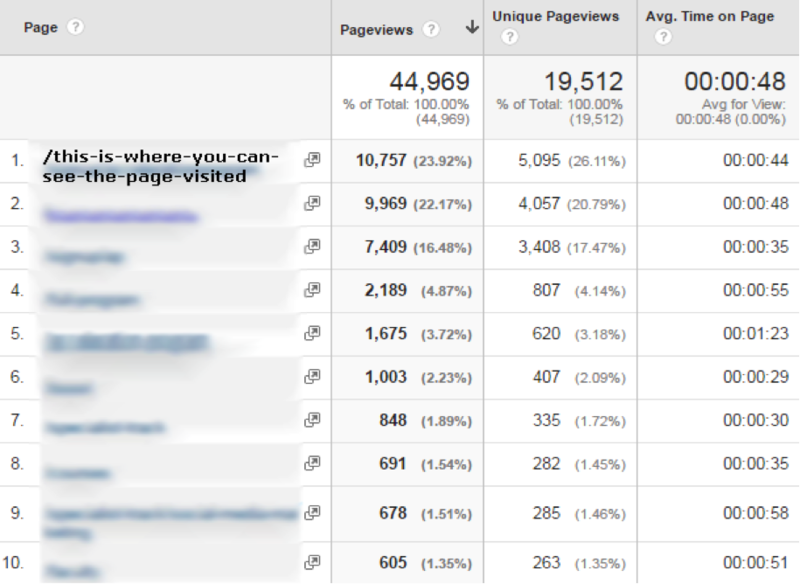 Google Analytics provides a description of your visitor’s location when they checked in on your website. Having the data available gives you insight into which areas are performing better over others. For local businesses who are targeting a specific area, this information will confirm if your visitors are indeed coming from your locality. This allows you to tailor your messaging and campaign to fit your intended audience based on where they are located. There are instances where conversions that are heavily assisted by social media are not given due credit. This is because conversions are often attributed to the source of lead right before the conversion, this is called the Last Click Attribution. Let’s say that a customer first discovers a brand from a Facebook ad, but doesn’t immediately visit the site from the get-go. Two days later, the same customer sees a re-targeting ad and ends up buying something from your website. With Last Click Attribution, the pay-per-click ad is given credit, where in fact the Facebook ad was the first thing the client discovered. You can check this valuable piece of data by clicking on the First Interaction Analysis tab to use the First Click Attribution Model. Compared to traditional media, social media marketing is still relatively new, and the tools used to measure it might not be as sophisticated as they could be. But, it’s also fast gaining traction and continues to be a force to be reckoned with. Social media sites are now a major part of any marketing campaign strategy, and will only continue to grow in importance in the coming years.